Provides a way to use module-info.java in kotlin projects. 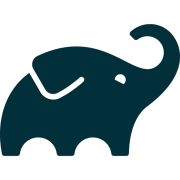 This gradle plugin creates the META-INF/susel.metadata file representing the metadata about the service providers in a given Java module. This gradle plugin creates the META-INF/susel.metadata file representing the metadata about the service providers in a given Java module (in the JPMS sense). A gradle build task for simplifying creation of custom Java9 jre environments.